I’ve been waiting to become an overnight sensation for more than 30 years. When I was still in high school, working in the tunnels beneath Walt Disney World’s Magic Kingdom, I filled stockroom logs with strange stories that amused most of my co-workers but left supervisors baffled. As a reporter at The St. Petersburg Times, I worked in a frontier bureau covering news in what was basically enemy territory held by The Tampa Tribune (a newspaper that’s now defunct after absorption by my former employer). Against conventional wisdom, in the late 1990s, I started an original-theme space opera MUD called OtherSpace. The smart money would’ve been on yet another Star Wars game. I’ve been waiting for that game to make me famous for 18 years. I don’t think those guest appearances on the Sci-Fi radio show on WDBO count, as much fun as they were. Yahoo went and made a sci-fi parody show called OtherSpace and now people think I must’ve based my game on that. Almost mission accomplished? In 2006, I joined the indie development team working on a post-apocalyptic MMO called Fallen Earth. The company name – Icarus Studios – should’ve been fair warning. The game launched, and it’s still out there, but it came when everyone wanted the next World of Warcraft and before the new zombie apocalypse craze. So it never quite took off the way we hoped it would. And yet I still keep going. The indie life didn’t choose me. I chose it. Now I’m a writer/designer for Prologue Games, a tiny indie studio in Durham. 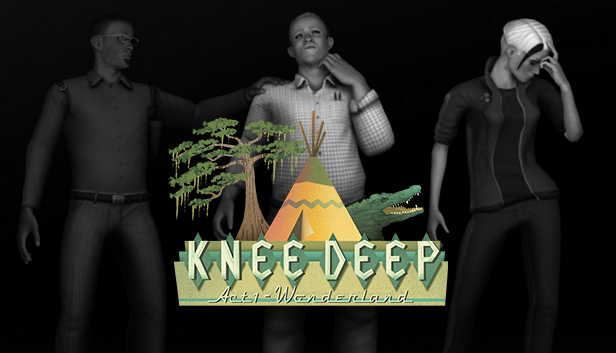 We’ve launched Knee Deep to little mainstream fanfare – a familiar refrain for many indie studios that aren’t lucky enough to have their game discovered by writers on House of Cards or gabbed about on Kotaku, Rock, Paper, Shotgun, and Polygon. Every day’s an uphill battle, trying to get noticed when every big game news website seems to cover only what the other big game news websites are covering. It’s fitting that some of our best coverage comes from indie sites like IndieHangover.com and Indiegames.com or local print news outlets like Indy Weekly in Durham. We appreciate them a lot. 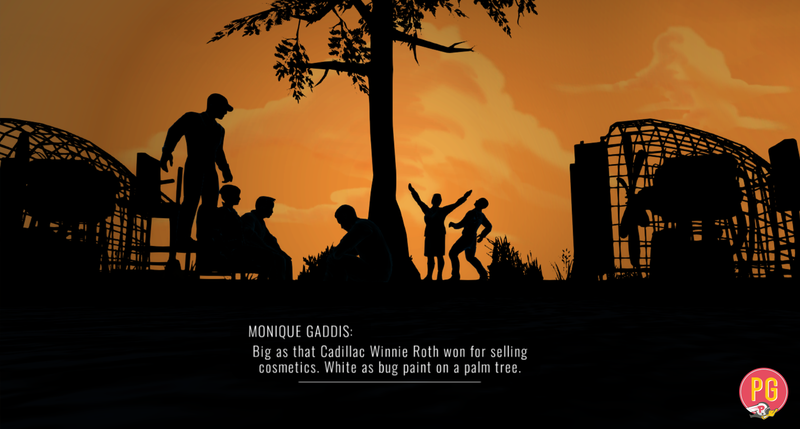 But, you know, I’m just saying it’d be nice to see a unique project like Knee Deep – a stage play presented as a computer game mixed with a journalism simulator – given broader attention. I don’t expect it to happen, though. Indie game sites, like indie devs, struggle to find an audience. The big sites don’t care unless we can add to their bottom line somehow. I can’t stress myself out over it. I’m the writer/designer and the marketing guru (for what it’s worth) at Prologue Games. We don’t have the advertising budget of Bethesda, Blizzard, Ubisoft, or even Telltale. All I can do is keep doing what I do: promote Knee Deep, share other indie projects I find interesting, and wield my cranky old man/news editor cane as I try to shame major gaming sites when they waste space on something ludicrous. And I’ll keep waiting, patiently, for that overnight sensation achievement. That’s what I do. Keep in mind that my football team’s the Tampa Bay Buccaneers. My basketball team’s the Orlando Magic. I’m an addicted underdog. Independence is tough. It’s risky. It’s expensive. I wouldn’t trade it for anything. It’s an amazing feeling when your first indie project launches and you hear from people who get it and love it. It’s painful when haters criticize it. But, in the end, what matters is that people talk about it at all. Art isn’t always commercially successful, right? We want to make money, yes, but we’re ultimately trying to create projects that stir imaginations, get people thinking, and offer unique experiences that players won’t find anywhere else. Every minute on the job matters for an indie developer. Every second. If the game fails, that’s on you. Now do the next thing and hope it does better. If the game succeeds, congratulations! Now do the next thing and make sure it does just as well. We don’t have to be in it to win it. We should be in it to matter and make a difference. But it’d be nice to win too. Wes Platt is the lead writer/designer for Prologue Games. 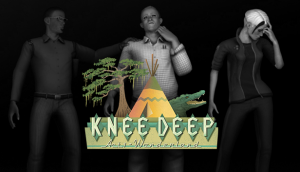 Their first game, an episodic narrative adventure called Knee Deep, launched its final act on Steam in March. Before that, he was a professional journalist for the St. Petersburg Times and Durham’s Herald-Sun. He designed collaborative real-time adventures at OtherSpace, Chiaroscuro, and Necromundus for players at jointhesaga.com. He also worked as a design lead on Fallen Earth, a post-apocalyptic MMORPG, from 2006-2010. He’s on Twitter at @DougPiranha. Reach via email atwes@prologuegames.com.